It's good that there's an independent investigation underway after three prison deaths in N.L., Jenny Wright says, but it must be transparent to effect change. Problems reported by former inmates at the Clarenville women's prison are not new, says the director of the St. John's Status of Women's Council — and the province's independent investigation isn't enough to address them. "It's absolutely not enough. 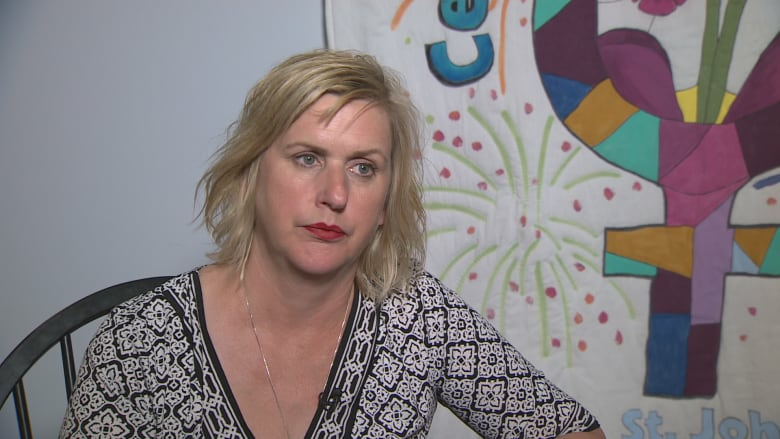 We need to have some immediate accountability here from our government," Jenny Wright, the council's executive director, told the St. John's Morning Show. "We have two women that have died in a state institution, and I've yet to hear any accountability coming from anyone." Three former inmates have told CBC News that the Newfoundland and Labrador Correctional Centre for Women in Clarenville, where two inmates died this spring, is overcrowded and inadequately staffed to deal with the mental health and addiction issues many inmates face. Those accounts match up with what the St. John's Women's Centre sees in their own work at that prison as well as at Her Majesty's Penitentiary in St. John's. "I think we need to listen to these women," Wright said. "I think we need to hear their voices, and I think their voices are often ignored." In 2008 the province's prison system was reviewed. The resulting report — Decades of darkness, moving toward the light: a review of the prison system in Newfoundland and Labrador — found problems including overcrowding, inadequate health care, lack of outdoor recreational space and a high number of prisoners with psychiatric issues. The current independent investigation of the two deaths — plus the death of a male inmate at HMP last August — requires transparency and oversight about what the eventual recommendations are, and what will be done to implement them, Wright said. "Who is going to be told of what happened to those women? Because what we do know is many of the recommendations that came out of the 2008 review were never employed," she said. "What we don't want is another investigation that happens where nothing comes of it, because we're definitely at a crisis for incarcerated women." The information from the three former inmates interviewed by CBC News indicates that the problems remain, Wright said. "We've known this for a really long time," she said of the problems in the prison system, "and we called for changes even two years ago in March, because of overcrowding when they moved women down to HMP." There was a 64 per cent increase in incarcerated women in the province from 2008 to 2016, she said, with many of the women in prison in the province there on remand. That means they have been charged of a crime but not yet convicted and are being held in prison because of a lack of financial resources or because a judge thinks they will not appear for trial — for example, because they have addiction or mental health issues. "This is one of the main reasons for overcrowding, and this is one of the main reasons why we have so many women within the prisons with untreated mental health and addictions," Wright said. The St. John's Status of Women's Council has staffers who visit the Clarenville prison every three weeks to offer housing programming, services with other local organizations, music therapy, and other supports. Wright acknowledges that prison by its nature is difficult, but said that inmates are still entitled to basic health care, adequate space and help to transition into post-prison life. "Even within prisons we are entitled to basic human rights," she said. "Essentially, we're not even at this point meeting the basic requirements that are deserving for people within prisons."